On January 1, 2010 the presidency in the Organization for Security and Co-operation in Europe will be passed in rotation to Kazakhstan. In this connection during an annual Eurasian media forum, which took place in Moscow recently, there was an opinion expressed that in the close future the emphasis in OSCE activities will shift – instead of the human rights issues the priority will be given to the security issues. It is noticing that though Kazakhstan’s leader Nazarbayev is known for his authoritative methods, his country can’t impose its policy or vision of problems on other OSCE countries, even when Russia and Belarus support Kazakhstan as their Customs Union partner. This statement is even more valid as the convergence of views between Astana, Moscow and Minsk appears to be at least artificial. And though there are disagreements between certain countries in Europe, as well as between EU and USA, those disagreements, firstly, don’t diminish the role of Euro-Atlantic cooperation, and secondly, don’t cancel the Helsinki Accords, which formed the basis of European security principles for more than 35 years. Can the issues of fundamental human rights be really separated from the global security?! As we know, the USSR leadership headed by Brezhnev desperately resisted to the inclusion of the so-called «basket three», which concerned human rights, in the Helsinki Accords. And once the accords were signed, the USSR and the other socialist states were not going to observe them. But the accords signed in Helsinki gave an impulse to the development of the human rights movement in Soviet Union (first of all, to the creation of the Moscow Helsinki Group.) Subsequently, they gave an impulse to the democratic transformations in the entire socialist bloc. Both approaches to Russia, which existed in the West back then, remain today. The supporters of one approach are considered as realists (or as representatives of realpolitik.) Others are regarded as idealists. 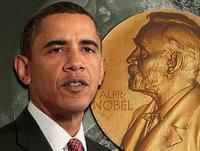 It is indicative that the US President Barack Obama has mentioned the dispute in his Nobel Lecture. In his speech on receiving the Nobel Peace Prize Obama, in particular, said that «within America, there has long been a tension between those who describe themselves as realists or idealists – a tension that suggests a stark choice between the narrow pursuit of interests and an endless campaign to impose our values. That last phrase seems to contain the key to understanding of why Europe, which has suffered two world wars in the past century, with the support of USA managed to live peacefully for sixty five years, and why yesterday’s «eternal enemies» now set the tone in economic and political integration processes. Certainly, democracy and democratic values are not something static or something momentary. In the past century the historical destiny of the peoples in Western and Eastern Europe evolved differently, so the level of democracy in some countries is different even within EU. That doesn’t mean at all that the countries of Central and Eastern Europe are technically inferior to their western neighbors and therefore should follow some bureaucratic hierarchy. But that makes us remember how heavy the heritage of the Soviet totalitarianism remains and how long it can take to establish the true democracy. Such remembrance is especially important, as the advanced countries of the West seem to forget their own errors made because of the underestimation of the danger presented to the whole world by totalitarian regimes during the Cold War. An example of the difficulties on the road to democracy in post-totalitarian countries is Romania, which two years ago became a member of EU and recently had the presidential elections. Comparing to December 1989, when Romanian dictator Ceausescu was overthrown in a popular uprising and then on the quiet, virtually with no legitimate criminal investigations and court decisions, shot in a courtyard in one of the county-level cities, the country made a long way. Meanwhile, the current president Traian Basescu (at least at the moment of this writing) is only the second president of Romania, which until 1990 was the Socialist Republic. Before Basescu the country was ruled for three consecutive terms by Ion Iliescu, the former head of the ideology department of the Romanian Communist Party’s Central Committee, which Ceausescu dismissed. Basescu, a former captain of a merchant ship and the mayor of Bucharest before he was elected as president in 2005, is known not only as a supporter of European integration, but also as a populist. 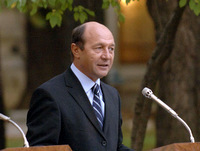 In 2007, the parliament has impeached Basescu for abusing presidential powers, but he has organized the referendum dedicated to the issue, and people have spoken in his support. * Hungarians, Russian-Lipovans (Old Believers who come from Bukovina), Armenians, Ukrainians and other groups that had deputies in the national parliament. The night after the election the exit polls predicted that Geoana would win with a small advantage. In response Basescu claimed with a grin that the true winner is he. In result, according to the official figures from the Central Electoral Bureau of Romania, Traian Basescu won 50.33% of the vote, and 49,66% of the participants voted for his opponent Mircea Geoana. Of course, Geoana challenged the election results before the Constitutional Court, accusing president Basescu of “using the infernal machine of rigging.”But the fact that the night before the Social Democrats were enthusiastic about their candidate and didn’t speak about any fraud became a minus to their party. In addition, the report of the OSCE observers pointed on no serious violations during the voting, and also there was no bulk of citizen’s complaints to the electoral bureau. The Constitutional Court in result approved Basescu’s victory in the presidential elections. Still, a political crisis is evident in Romania. The society got split into two hostile camps. And the case here is hardly in personal characteristics of the two candidates (although Basescu is considered more charismatic.) Both candidates are pushing for further reforms, which may seem surprising in the context of the economic crisis. Still, in the field of foreign policy Basescu favors even closer integration with Europe, while Geoana stands for the restoration of the old ties with Russia, Ukraine and China. Basescu, by the way, claims credit for winning in the Hague a territorial dispute with Ukraine over an island in the Black Sea. And about Russia Basescu was generally saying that there is a danger of returning to Russia’s field of interests and that Moscow has its “agents of influence” in Romania. Saying so, he was clearly hinting at Geoana’s party. “Romania needs pragmatic relationships with Russia, but we must not depend on Moscow’s political decisions,” – Basescu has emphasized. But it is unlikely that the stand on the relations with Russia and – especially – the relations with Moldova strongly influenced the outcome of the vote. It seems that the role here was played by a systemic feature of post-communist regimes: the absence, in many cases, of the political culture, the focus of the political elites on the confrontation, the willingness to use any means in the power struggle – including the dirt. On the surface the scenario of the elections in Romania looks similar to the script of the Orange Revolution in Ukraine, where the losing “orange” candidate Yushchenko (as a matter of fact, president Basescu’s supporters also march out under the orange flags) challenged the election results in court. The difference is that the Romanian voters are not yet ready to get involved in the street confrontation, supporting one or another candidate. Besides, what’s important is that in this case Russia haven’t spoken evidently in favor of any of the candidates, as it have once done in Ukraine, where Russian support to one of the candidates caused an effect opposite to what was initially planned by the Kremlin. Something similar took place earlier in Yugoslavia, where Kostunica was able to defeat Milosevic thanks to the many-million demonstrations. Who is on the bench of underachievers? Perhaps, these words are even more relevant to Ukraine. The country in which the problem of corruption is just as actual as in Romania and which won’t loose to Romania by the degree of democracy and freedom of speech, under Yushchenko’s leadership couldn’t even get close to joining EU or at least NATO. And the thing is probably not only about Yushchenko alone, or about the Prime Minister Yulia Tymoshenko, or about the differences between the two. Moldova, where for more than a year they can’t elect the country’s president, is also in the condition of a permanent political crisis. The society in Moldova is split exactly the same way as in the neighboring Romania, but the role of the Social Democrats in Moldova is actually played by the Communists. 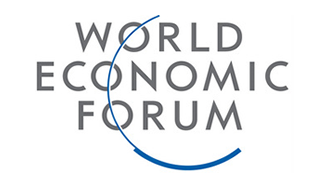 Besides the internal discords, economic difficulties and divisions in the post-Soviet societies of the countries mentioned, there is a common external factor, which undoubtedly prevents their consolidation and movement towards democratic Europe. This is the influence of Russia, which since recently openly declares the sphere of its interests in the former Soviet Union territories – including the ones in Europe. In response, Europe is for the most part silent to these claims, as if by default recognizing Moscow’s right to support the self-proclaimed republics on the territory of Georgia – including the means of military aggression. In essence, this is a gross violation of the main principle included in the Helsinki Accords – namely, the principle of the inviolability of the postwar borders in Europe. Yes, the Soviet Union and Yugoslavia disintegrated into separate independent republics. Yes, there were armed conflicts and even wars between the countries in the Balkans and the Caucasus (for example, the Armenian-Azerbaijani conflict over Nagorno-Karabakh has not been resolved), or within them. But for the first time one of the major nuclear powers in the world, all of which became the guarantors of peaceful co-existence of the new independent states, encroached upon the sovereignty of a neighboring country. Georgia, because of its economic and human potential, can’t even in theory present a threat to the security of a many-million Russia. Which means this is a direct suppression of the small countries, which are defenseless before the military might, and the annexation of their territories. This really didn’t happen since the Nazi annexation of Austria, Czechoslovakia and other European countries. Unfortunately, same as it was back then, the European community speaks from the standpoint of “appeasement.” Here it’s appropriate to bring another statement from Obama’s Nobel speech, where he recalls that “a non-violent movement could not have halted Hitler’s armies.” The armies were stopped with something completely different. By the way, since we are referring to history, it is worth adducing another argument in support of the US President’s thesis that Europe found peace only when it became free. No doubt, confrontation in prewar Europe, atmosphere of fear and uncertainty contributed in the 1930s to the coming of the authoritarian regimes to power, such as it happened in Poland, the Baltic countries, Hungary and the Balkans. Caught between the hammer of the Third Reich and the anvil of Stalin’s USSR it was hard to keep democratic attitudes. After the war, the poorest at that time European countries – Greece, Portugal and Spain, as well as Turkey – through their membership in NATO and contacts with the advanced democratic countries, with time – some earlier, some later – entered the path to democratic reforms. Now, of course, there is no real military confrontation in Europe. NATO bloc is not going to attack Russia or Belarus, or anyone else. The very idea appears crazy and may arise, perhaps, only in the minds of the general staff officers in some CSTO countries. But the revival of authoritarian and even grand imperial trends in Kremlin’s domestic and foreign policy creates significant tensions on the entire perimeter of Russia’s interaction with its former “vassals.” Sometimes these tensions gush over the edge and result in truly tragicomic incidents – as it happened recently on Russo-Ukrainian border, where the border guards shot and killed a “smuggler” from Kharkov, who was attempting to illegally smuggle ... the boat-crutches. But the demarcation of the borders between the two countries has not even been started – to the fault of Russia’s side. 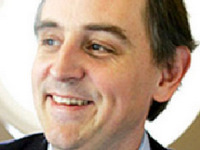 Recently in Russia and Ukraine there was issued a book by journalist Edward Lucas called “The New Cold War. How the Kremlin Menaces Both Russia and the West” translated into Russian and Ukrainian languages. According to the author, the countries of Central and Eastern Europe, Caucasus and Baltics have already become the battleground of the new Cold War. Russia makes no secret of its desire to have the droit de regards – the right to oversight its former empire; it wants to know everything happening there and has the strength to prevent what it doesn’t like, believes Edward Lucas. His book was published in February 2008. Nearly two years after the first edition was published, the retold passages appear to sound even more relevant.